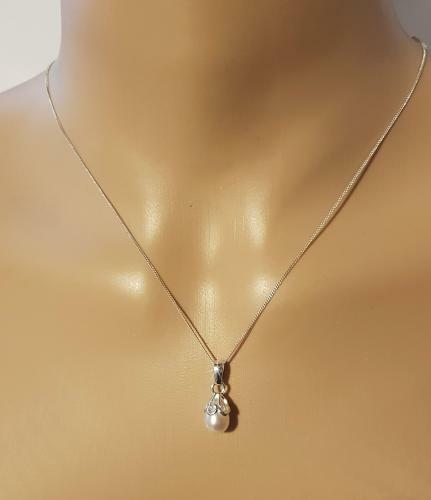 A classic teardrop Freshwater Pearl pendant set in Sterling Silver. Length of pendant 2cms including pendant bale. Supplied on a Sterling Silver lightweight curb chain which extends from 16" - 18"